You have 498 characters. Don’t forget to add important and relevant keywords in your description to improve your iTunes app page and optimize your SEO. Your app's last version was released on February 22, 2016. It is important to regularly update your app. Best practices recommend to update your app every 4 to 6 weeks. This means fixing reported bugs, improving existing features, launching new features etc. Keep an eye on users' feedback. The next great features may already be asked by many users. 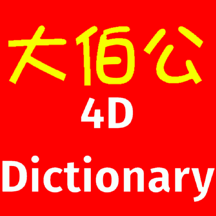 4D Dictionary ( dua pek kong 4D ) help you to analysis your dream, get your 4D , turn your dream and strike a small fortune. This full offline edition consists of Chinese & English explanation.